'Maverick is a 4-year-old, black and tan, long haired, neutered dog. He is very sociable and loves playing with the ball and fetching sticks - he will run for hours. He loves children and gets on with everyone. He is a very good looking dog and a lot of fun. 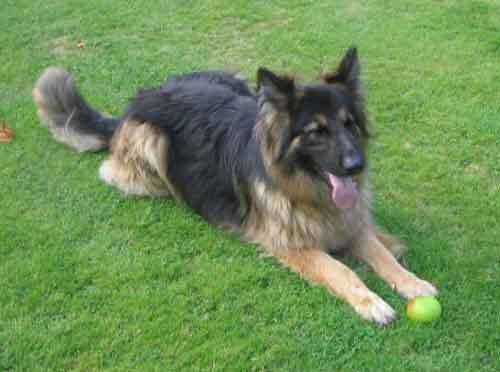 He used to get on with other dogs until he went into boarding kennels for a short stay. Something obviously happened during his short kennel stay and he is not keen on other dogs now. Toby was picked up from the pound. He had been there for a few weeks, he was very scared and wasn't doing well. We brought him out as whilst he was in there he was attacked by a Bull Mastiff who had to be dragged off poor Toby who didn't fight back. He is very thin and will need 4 smaller meals a day to help build him up. 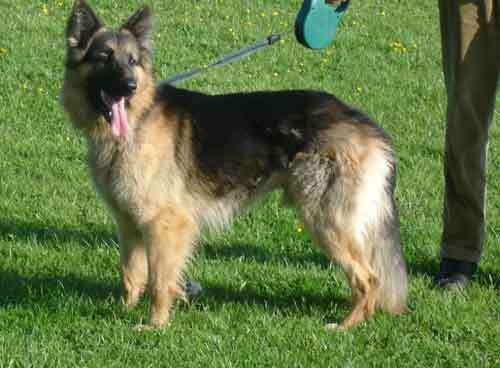 When he gains some weight he will be a magnificent looking dog with a temperament to match. Very friendly appears to be Ok with children and other dogs. 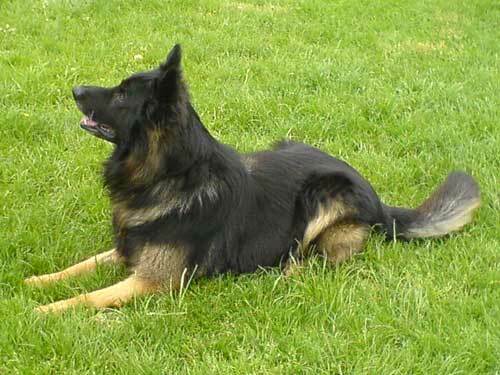 He is an entire black and tan short coated dog aged about 6. Lucas's owner tried to commit suicide so this poor dog has ended up in rescue. He is aged about 3-4 - short coat seems ok with other dogs, fairly small dog and a little bit scared - nice boy. He has been living with children, a spot of kennel guarding but it's all bravado as he is a lovely friendly boy. This handsome lad is Chad. Chad was chained up in a backyard so has not been socialised. He is excellent in the house, a perfect dog you might say. He is amazing with people and has never shown any aggression at all. He is fantastic with children and has been around lots of toddlers. He does not however like other dogs. He has a bit of arthritis in his shoulder and is on Rimadyl for the pain. This poor older dog could really do with some TLC. He was found abandoned in a yard with a Rottweiler, they were taken to the pound. 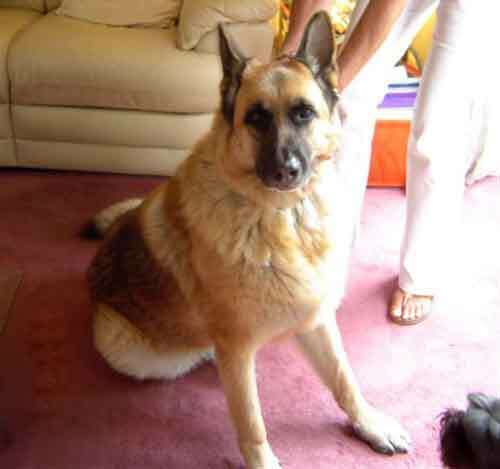 Sammy came into rescue kennels on the 1st of May - he has CDRM and is looking for a home with a large heart and large garden where he can have some quality time. Kennels are not the place for Sammy and we do not want him in kennels in the winter. Contact the rescue for more information on Sammy and CDRM. Please, he really does need somewhere warm and comfortable to be, kennels aren't the place for any dog but it really is awful for older dogs. 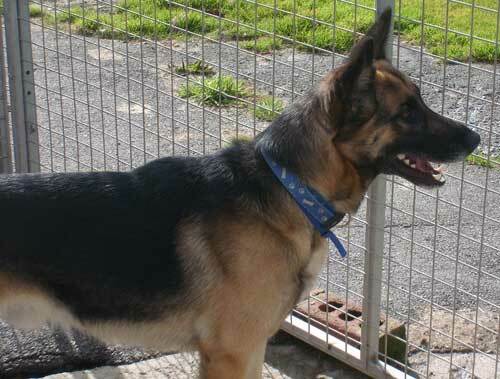 Sirius is approx 4 years old, loves to play and go walks. He is becoming very stressed in kennels and needs a home urgently where there are no young children and where they have experience with this breed. Transport could be arranged to get Sirius over from Northern Ireland. 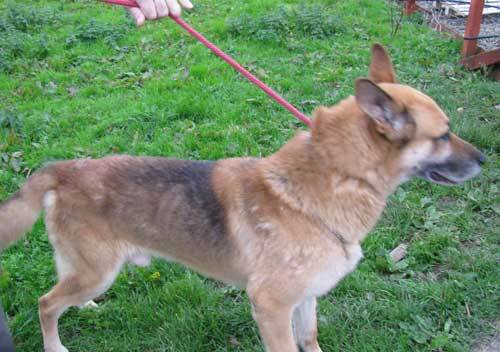 This poor young dog has now spent nearly a quarter of his life in kennels. Blade is a young neutered male that needs an experienced home. He adores his immediate family and is fine when he gets to know you but is very protective of his home and family. Not good with male dogs. Experienced home required. 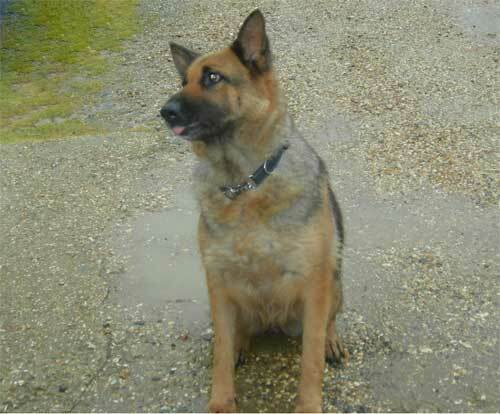 Isla is a 6-year-old, brown and gold, short haired, entire female. 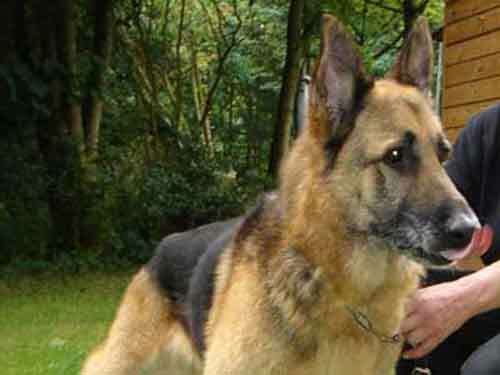 Isla is desperately looking for a guardian angel who can offer her a new home. 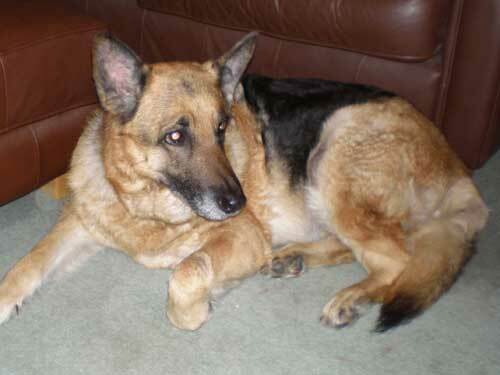 She has previously been used as a guard dog but due to arthritis in her legs, she is now not fit enough to be worked. Our volunteer found her a sweet, gentle natured girl looking for TLC, she needs a loving home, with gentle exercise and although good with other dogs preferably as an only dog. Isla is at risk if a new home cannot be found for her. Khan is an 8-year-old, black and tan, short haired, neutered male. He is a big, beautiful dog who is very protective of his home - he lives in a family with two older children who he will nip if they try to leave. He would be best homed in a household without children. He is good with other dogs but does not like black Standard Poodles or Great Danes. Don't know about cats. 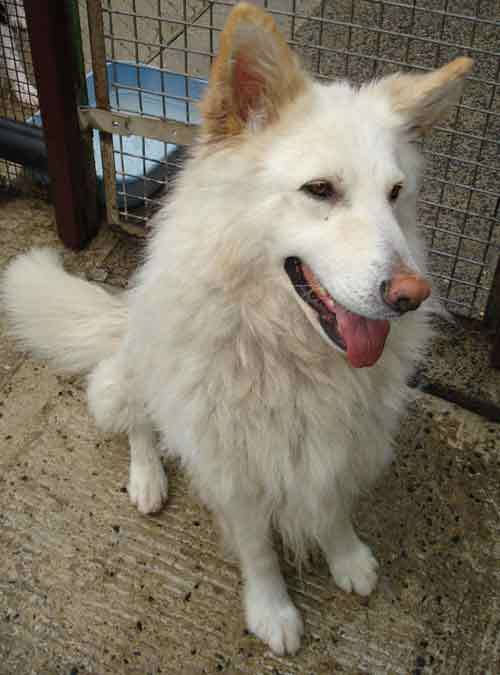 Khan is a smashing dog and with the right people will make a wonderful companion. He will need an experienced home.